Dharamsala was recognized a headquarter of Kangra District in march 1855. Lying on a Dhauladhar spur, from a War Memorial monument at 1300 meters to Mc Leod Ganj at an altitude of 1770 meters , spread over an 8 kilometer rising slope the place has a district character. Lower Dharamsala houses shopping complexes and the upper regions consisting of Forsythe Ganj and Mc Leod Ganj retain colonial township flavors. Mc Leod Ganj gained new appeal with the arrival of His Holiness Dalai Lama in 1966. Local sightseeing visit Tibetan village, Mc Leod Ganj, St. John Church, Dal Lake and Bhagsunath Temple at the Mc Leod Ganj. Lunch and evening tea at The Club House, Mc Leod Ganj. Mc Leod Ganj (1770 m): Rose to prominence when His Holiness The Dalai Lama, spiritual leader of the Tibetans made it his refuge after leaving Tibet. Nicknamed little Lhasa , traditional Tibetan medicine and handicraft here are great attractions. Dal Lake: (11 kms): Dal Lake is a small scenic lake surrounded by Deodar trees, with temple of Durgeshwara Mahadev by the lakeside. 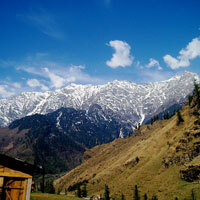 Naddi and Talnu are picnic spots not far from the lake. Bhagsunath Temple (11 kms) : Besides a fresh water spring lies a temple of Bhagsunath. After breakfast proceed to The Tea-Bud, Palampur. On way visit Mata Chamunda Devi Temple and Zoo at Gopalpur. Lunch, evening tea and overnight stay at The Tea-Bud, Palampur. Palampur is a town founded by British tea planters. The altitude, ample water and cool climate have retained Palampur as a right place for tea plantations since colonial days. The quaint landscape filled with meticulously maintained tea gardens is very scenic. Pleasant countryside walks are enriched by numerous gurgling rivulets, streams and brooks that are all full of life. 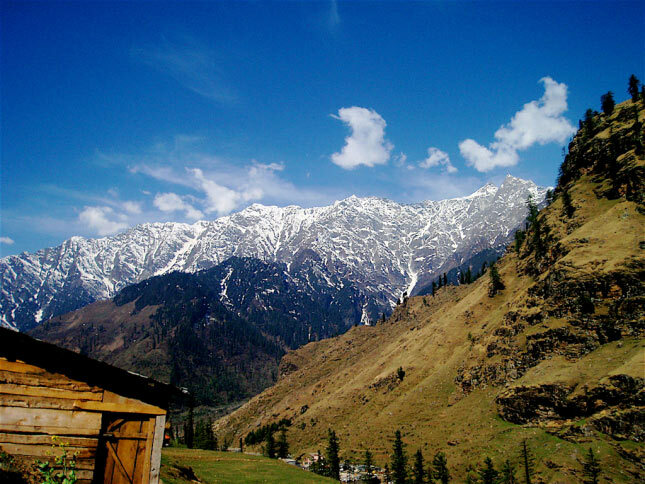 White ranges of Dhauladhar mountains for a background give the place a magnificent dimension. After breakfast proceed to Dharamsala.